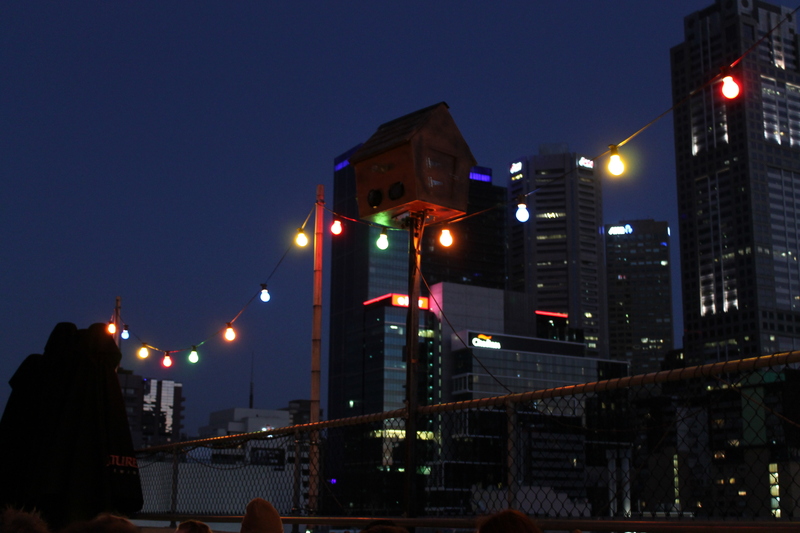 Last night I went to the Rooftop Cinema at Curtin House in central Melbourne, we saw “We need to talk about Kevin” – the film was amazing but can be best described as mind-breaking. 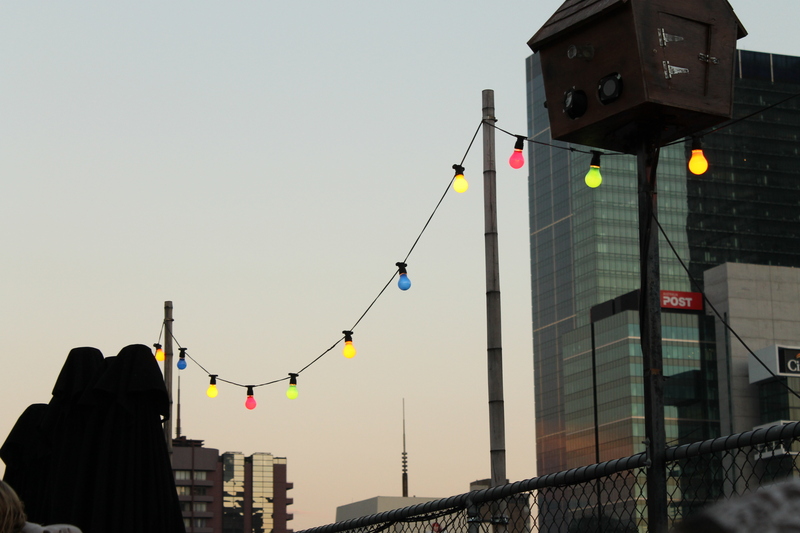 The Rooftop Cinema has quite a unique décor with coloured light bulbs strung up around the edges. 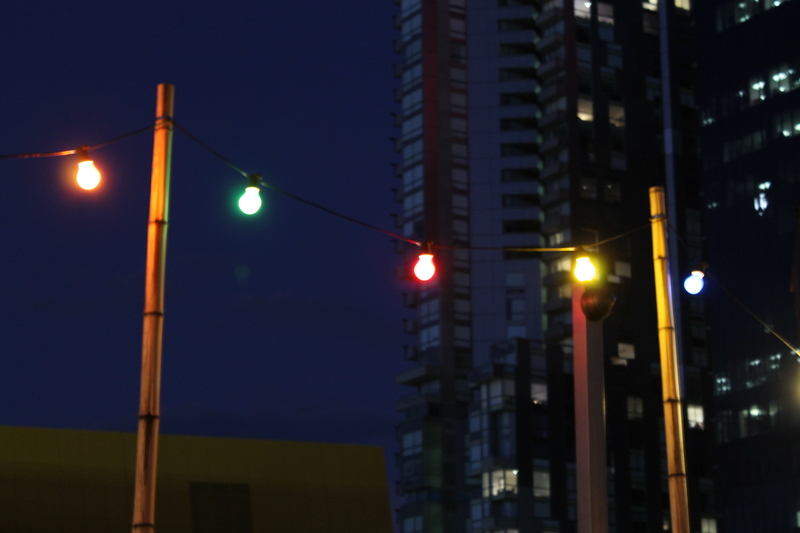 I watched as the sunset and the light bulbs became brighter against the darkening night sky. I must have taken 50 shots from my chair as we waited for the film to start, now that I know a bit more about the settings etc on the camera I took lots of subtly different versions of the same thing. 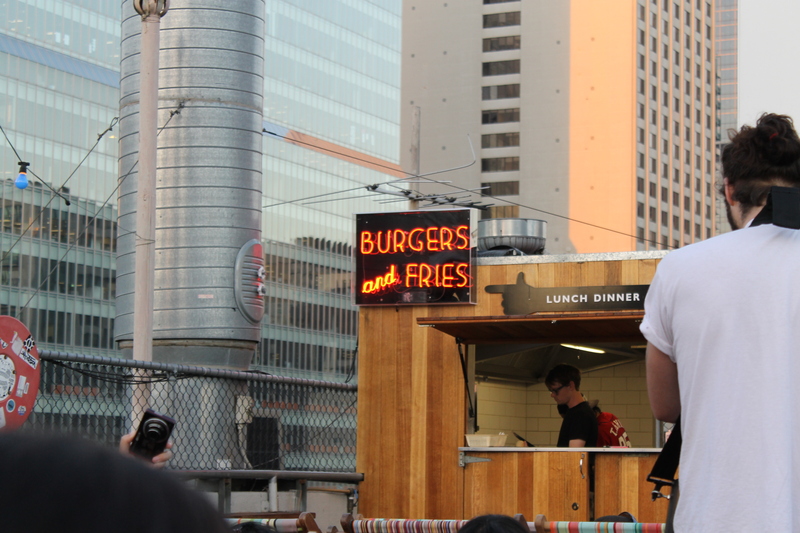 I’ve still never tried the burgers and fries, I always forget they have food up 7 flights of stairs. 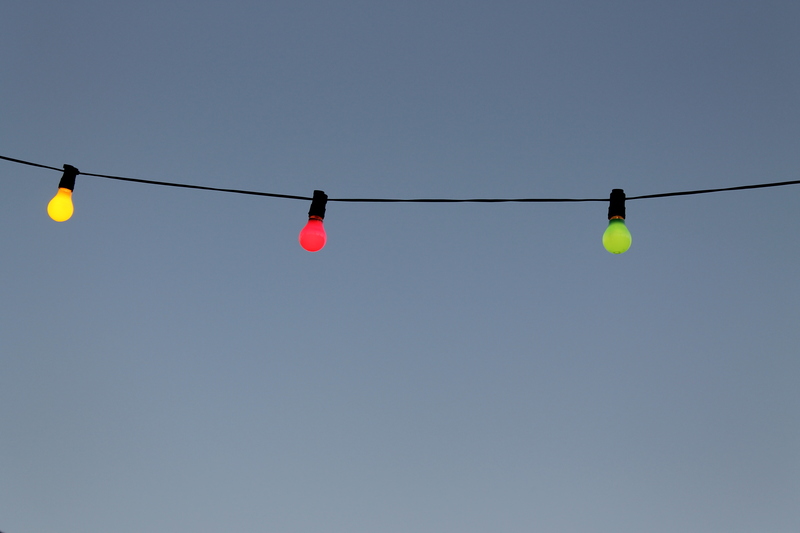 Light bulbs against the sunset sky. Light bulbs with the cute bird house thing (I have no idea what the bird house does). Light bulbs later on against the sky. 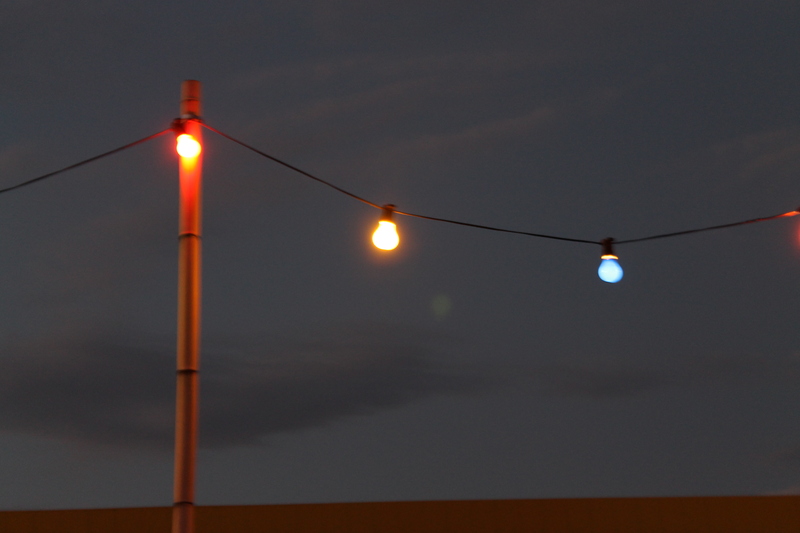 After the sun set the sky went a lovely midnight blue colour making the light bulbs stand out more. And again with the bird house, I liked how the signs lit up in the background. 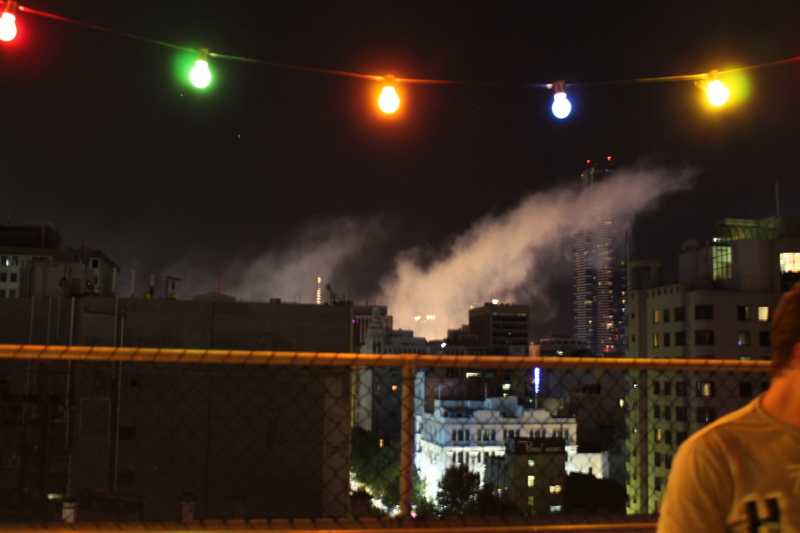 This was after a bunch of fire crackers went off, I assume it has something to do with Chinese New Year, but it looked like the city was on fire, there were even sirens. If I had brought the tripod I would have tried some longer exposures, perhaps I can go out for a night walk in the city with the camera and the tripod and see what I can get!